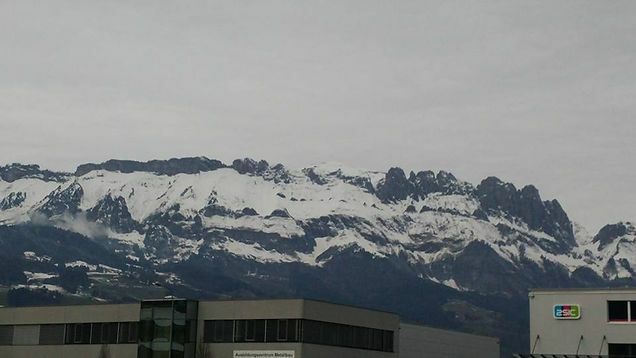 Stuck In Snow: Visiting Switzerland. Contrary to popular belief, I actually like being in peaceful and quiet places and left to my own devices more so often than I portray myself to the outside world. I love the smell of trees, the sound of the river and wild animals and just everything about nature. Which is contradictive to my other passion in life regarding technology and gaming. And so upon arriving to the far Eastern countryside part of Switzerland it was only a matter of moments before I realized that Switzerland most notably, Buchs St. Gallen has become one of my favorite places in Europe (so far) to retreat to should you feel the need to recharge your batteries and just be in touch with yourself again. Buchs St. Gallen lies on the border of Liechtenstein and is recognized by various scatters of villages around its numerous hills and mountains. It is 20 minutes away by car from Austria and so far to what I have seen it is heavily forested with trees and poultry farms (agricultural) and is home to bodies of rivers and lakes. Although the average temperature when I arrived is between 2-6 degrees you would think that its really cold but in order to find out whether this forecast actually reflects the feeling you would have to take into account the wind velocity of the area. It is not very windy here and its just very still. The town folks are very quiet too and if you want to get to even the most local shops you definitely would have to have a car or a bicycle. Below are some pictures I have taken outside where I am staying. Waking up the next day we were greeted by a rush of snow. Today was very cold. However, that did not stop me from going outside and just appreciating the fresh air. Buchs is surrounded by mountains and hills and when the breeze hits you, you just can not help but feel so refreshed. And yes for the second day, there is not much people that I have seen and the ones I saw could not speak English. Its mainly German-Swiss. Later on the afternoon, we headed to Austria which was about half an hour drive from Buchs. 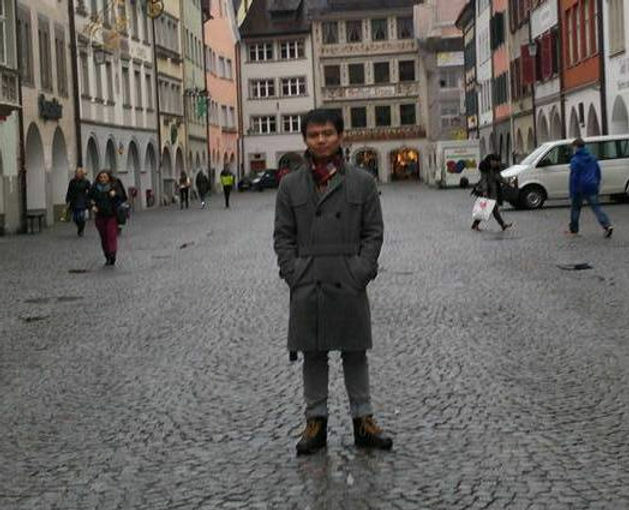 We went to Feldkirch and to the main shopping center where one of the James Bond film Golden Eye scenes where shot. It was not anything special but when I went to the street I remember this was the place where James Bond was chasing one of the bad guys, and to think I was standing there now. A lot of James Bond action scenes were apparently shot in Austria. I took some photos below. Later on the evening, we had the famous and traditional Swiss dish – the Raclette. It was a lovely day and it just feels really good to be away from everything you know back home and go have peace and quiet in a different environment. Today, we traveled to Lake Constance in Germany. This lake connects three countries in between: Switzerland, Austria and Germany. It was really sunny however, the breeze was freezing and the outwear jackets we wore was not enough to withstand the cold. In order to see the full view from atop Lake Constance, we had to climb this little tower that had a spiral staircase. Really scary and I quitted a lot of times. And I got stuck in the middle but I just had to brave it out. I have been in Germany before but not in this part: Friedrichshafen. A lot of our time was spent on the road but the views from our travel was just spectacular, I had never seen a large scope of land just covered in forests and mountains. 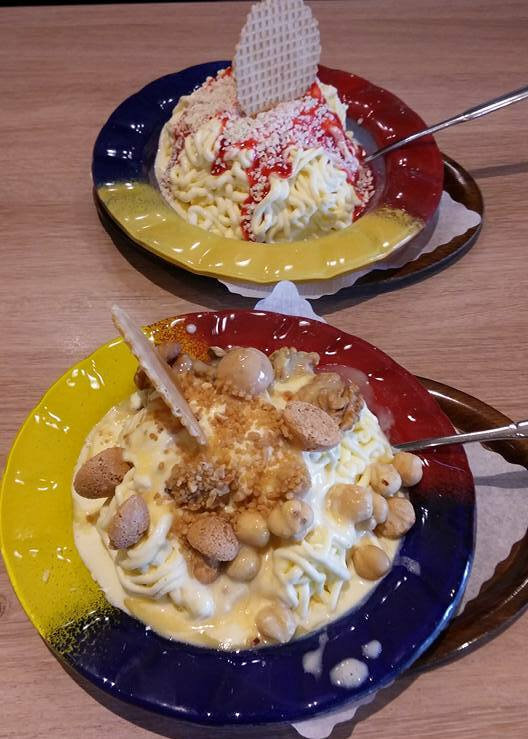 Upon arriving to this little town, we went to an ice cream bar and ate ice cream spaghetti. You may be wondering what this dish is, well I can tell you that it is not what you think it is. On the menu I actually thought the ice cream was showered in spaghetti but it is not. It was ice cream cut out in disguise of spaghetti. Photos are below. Its now 7:40 p.m. in the evening here and we are off to a Swiss buffet in a few moments.